Should You Have a Sober Wedding? When I was 11, my friend and I made a pact: we were going to have virgin piña coladas at our weddings. Ironically, this was before I ever took my first drink (or my five hundredth), realized I had a problem, tried to stop on my own, and found my way into the rooms at the ripe old age of 22. Now, I’m approaching five years sober in November and planning my own wedding. I let it go, because, fortunately, I can be around alcohol now and not be phased. As for my fiancé, he isn’t “one of us” and, on a wild day, he’ll nurse a beer. Aside from my mom’s “because I said so” (never gets old), the reason I didn’t push the issue is this: it’s a party. Not everyone knows how to party like we do, hitting the dance floor as soon as the DJ spins the first song, introducing yourself to strangers and cracking a joke while holding a seltzer, and sitting through painfully long speeches with eyes and ears open with because that’s what we do. The more thought I gave it, the more I realized that it’s almost like telling people they don’t have a choice between steak, salmon, or vegetarian options – that everyone has to have the steak because I only eat steak. Because most of our guests can drink safely, we’re going to find other ways to make our wedding feel uniquely like our own, and my dad has already put in a request for us to have apple cider during the toast. I can ask them to have iced tea refills at the ready. Fortunately, we’ll also have sober people on deck. Kelly from Cape Coral, Florida, feels similarly about the issue. Currently planning her own wedding as well, she has a fiancé who drinks, and so do the majority of their friends and family. She will have sober guests in attendance, so they’ll have mocktails and a flavored water bar. “We wanted everyone to feel included and comfortable,” she said. 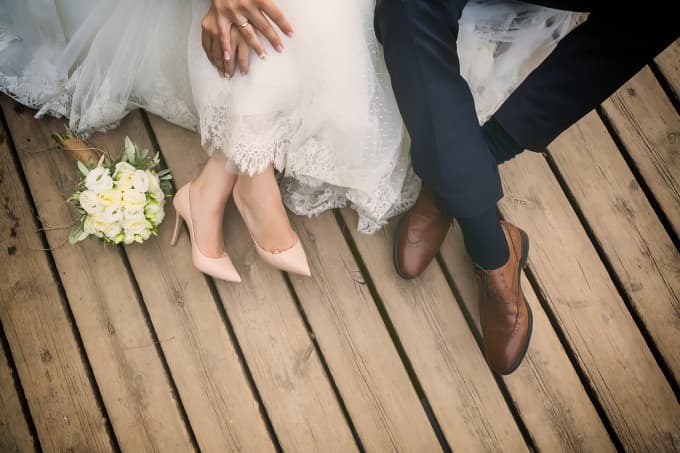 Anne Chertoff, editor in chief of TwirlWeddings.com, has noticed that more and more couples are thinking about their guests’ experience at the wedding, rather than just their own. 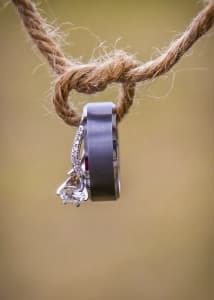 Chertoff recently worked with a bride who was concerned that her uncle, who drinks too much and becomes belligerent when he does, should be prohibited from drinking. Lauren from Austin, Texas, grew up with two alcoholic parents and multiple alcoholic aunts and uncles. In college, she realized she “couldn’t drink like a normal person” and eventually found a partner in her husband, who is Muslim and drinks occasionally. His family, however, doesn’t drink at all. “We heard everything from ‘It’s rude and insulting not to serve alcohol’ to up front refusals to attend if we chose not to serve alcohol,” she said. In the end, they decided to elope, which, she says, was the perfect decision for them. For some couples, though, it is the right choice. Laura from North Carolina had a “dry” wedding day, since she and her husband are both sober, and made no apologies about it. Carol from Easthampton, Massachusetts, who is also sober, attended a friend’s sober wedding last year, and watched as half of the people in attendance left “way earlier” than the other half. Ultimately, what’s important to remember is that, just like in the real world, you have choices when it comes to your own exposure to alcohol, and relating to the people in your life who can and do drink safely – and those who don’t. Last week, I happened to find myself in conversation with a guy named Chris who’s getting married next month. He told me about a sober wedding he and his friends attended a few months ago. Of course, if nobody can agree, you can always make like Lauren from Texas and book a flight…but remember, you can’t keep everyone else on board from drinking.